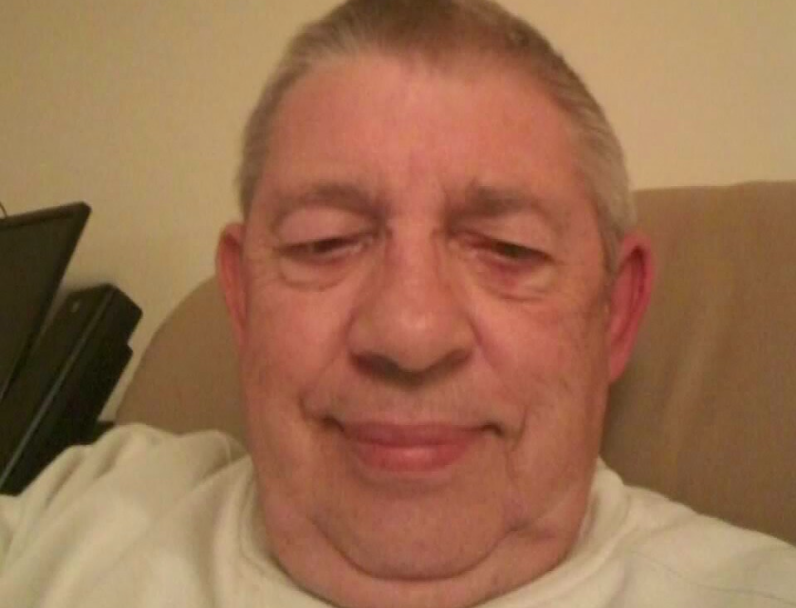 Ron Sheppard, aged 70, will fly out to the Middle East later this month to meet ‘Nina’, who he hopes will be wife number nine. Britain’s most wed man hopes to make a Filipina his ninth wife — months after a previous fiancee from the country left him for another man. Ron Sheppard, aged 70, believes he has finally met the love of his life after eight divorces and a recently broken engagement. He has now fallen for Nina, a 32-year-old widowed mother-of-one who works in Qatar in the Middle East. 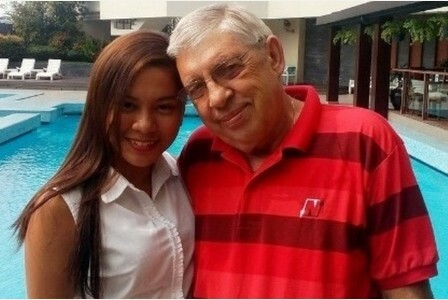 As we reported last November, Ron’s previous engagement came to an end when his fiance, Cristel Lalec from Lubao, Pampanga, left him for another man. Ron with Cristel, from Pampanga, who he had hoped would be his wife number nine, until she left him for another man last November. Ron’s career as Britain’s most wed man began aged 19 when he married his first wife, Margaret, in 1966. The pair had two children before divorcing two years later. He then met Jeanette in a bingo hall and they wed in 1973. It lasted one year. The old romantic has since described the marriage as a “business transaction” to qualify for a bigger council house. Shortly after their divorce, Ron met third wife Lesley. They had two children but their argumentative relationship ended after five years. He then met 18-year-old Kathy at Pontins holiday camp in Somerset and the pair married in 1982. They had a daughter and lasted four years, despite Ron admiting it was a “rebound relationship”. He then met fifth wife Sue at another bingo hall. Despite admitting he was not “swept off his feet by her”, he moved in with her and they married in 1986. They had two sons together but work commitments forced them apart. He then married Usha in 1999, after the pair met while Ron was visiting Singapore. The marriage lasted four years, but ended after Ron cheated on her during a solo trip to Thailand. It was during another trip to Bangkok that he met his seventh wife Wan. However, after returning to his native Somerset, the pair stayed together for just eight months before the bride went home. Ron then met wife number eight, Weng, online and flew out to the Philippines to meet her. After a whirlwind romance, they married in 2004. Weng, 36, divorced him after 11 years when he admitted to “misbehaving” with a masseuse in Manila. He first met his most recent fiancee, Cristel, more than ten years ago when she was aged just 15. She shared a mutual friend with wife number seven, Wan. After his marriage to Weng dissolved, they rekindled their friendship and Cristal came to live at his home in November 2016. However, a year later the 28-year-old walked out, having met another man. Ron later admitted that he should have known it wasn’t going to work out because Cristal “refused to divorce” her estranged husband in the Philippines, lost her engagement ring and failed to laugh at his jokes. He also said that she refused to sleep with him. Speaking to the Daily Mirror, Ron said: “I’m devastated by this. I did everything for that girl and she does a runner, I feel like such a mug. Ron has been wed for 44 of the past 48 years, with the marriages lasting from 10 months to 13 years. He has documented his experiences as Britain’s most wed man in a self-published book entitled Lord of the Wedding Rings. The news agency I use made a big mistake. I was initially supposed to talk about a film being made about my life story with an Oscar-winning Hollywood producer. But then, just in normal chat, they asked me what was happening in my life. I told them I had a lady friend in Doha, then they asked if she could be wife number nine — jokingly I said “could be”. But I said “don’t you send anything out to the media”. Well being weekend, they had a change of staff. The lady I spoke with, made a few notes. But the manager who took over, thought it was a story to be sent out to the media.